OUR PRICE: $78.03 - Join Rewards Get $7 Dance Dollars On This Item! 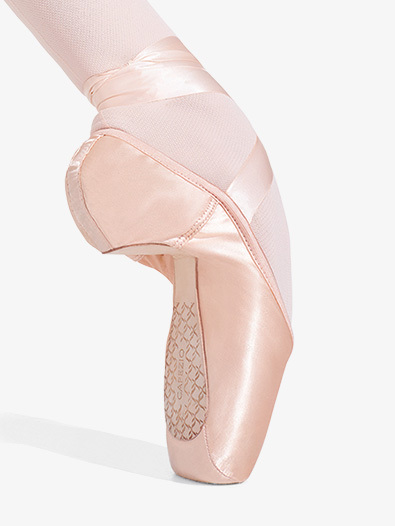 With its new and technically advanced design, the "Cambre" pointe shoe will support you through those endless rehearsals and intensives. Shoe features a broad toe, a #3 shank, a lower crown, and a deep vamp. For added support, the "Cambre" also features a full wing box, a sculpted arch, greater heel curve, and a plush, anti-slip sock lining. Elastic and ribbons sold separately.